There are still some cute vintage finds to be snapped up in our sale but hurry it ends at midnight this Sunday! 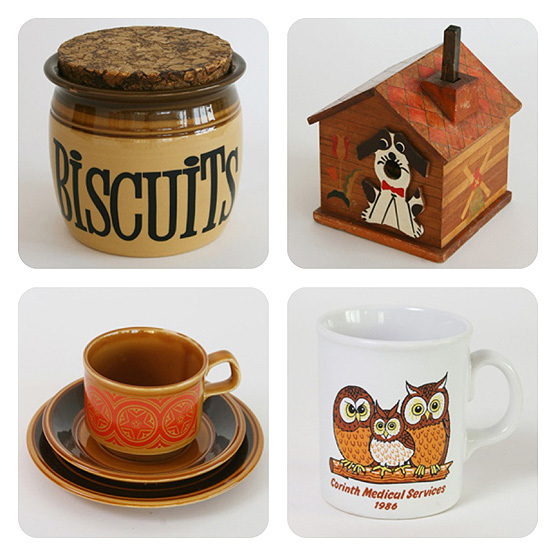 Sale goodies: biscuit barrel, kennel cigarette dispenser, tea set, owl mug. It’s been a whirlwind of wrapping, packing ‘n shipping out vintage goodies since I got back from our New Year’s break on Monday. There are still 50 or so amazing vintage bargains to be snagged though so have a sift through and see if there’s something you like. I’ll be completely spring cleaning the online shoppe next week and all current stock will be removed. If you want to pick up a few things I may even do you a deal. You can tweet, facebook or email leona@thrift-ola.com for some haggling fun!